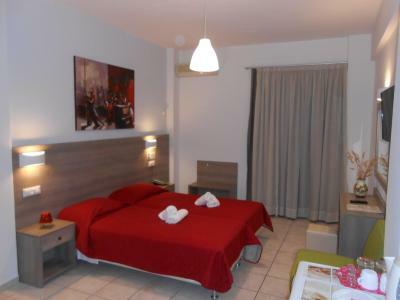 Lock in a great price for Voula Hotel & Apartments – rated 9.1 by recent guests! We had a perfect stay. The hotel is very centrally located but totally quiet. It takes only a 2 minutes walk to the nearest beach. Parking is literally next door available. The staff is gorgeous and the breakfast excellent. 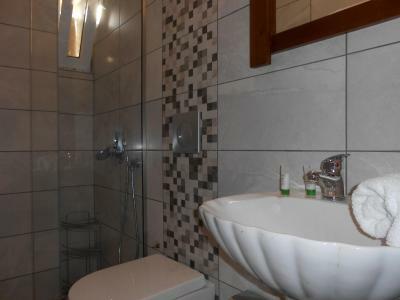 The team creates a very warm, relaxed and welcoming atmosphere. The rooms are new and well appointed - and perfectly clean. It is also a very good home base for any excursions one might plan. We will definitely come back. 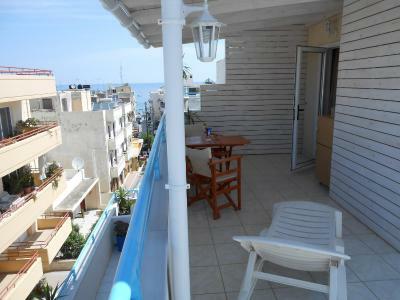 Top floor room with an amazing wrap around terrace with a day bed, lounger , table and chairs. Owner was very friendly and helpful. Would have liked to have stayed longer. Personalen vart utmärkt! Morgonmålet var bra och hade bra med valmöjligheter. Sehr nette und bemühte Gastgeber, perfekter Aufenthalt im Herzen der Stadt, aber dennoch ruhig gelegen. Flott hotell som ligger i en stille sidegate i sentrum. 2 minutters gange til fin bystrand. 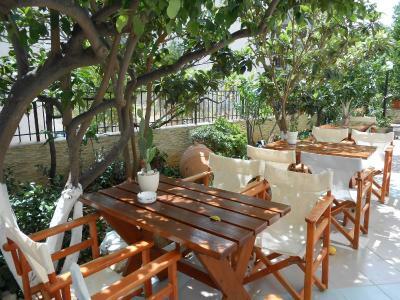 The family-run Hotel Voula offers air-conditioned accommodations and a quiet location right in the center of Hersonissos. 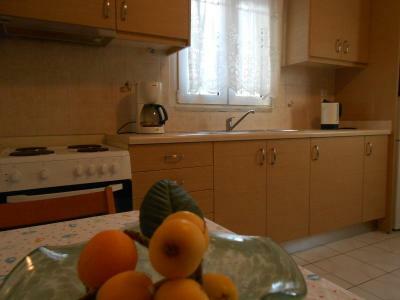 It is located just 350 feet from the sandy beach and as well as restaurants, bars and shops. 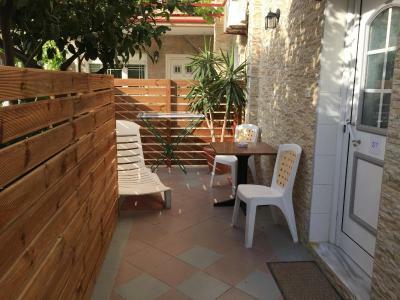 Offering free Wi-Fi access, all rooms at Voula have a balcony or patio and come with fridge and kettle, LCD TV and bathroom with shower. 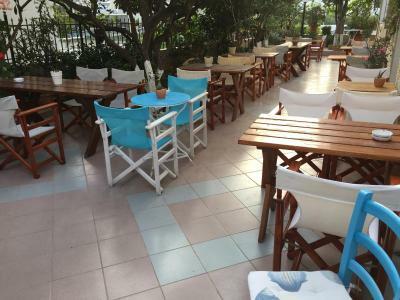 Before a night out, you can relax in the little garden of Hotel Voula or the lounge with a drink from the bar. 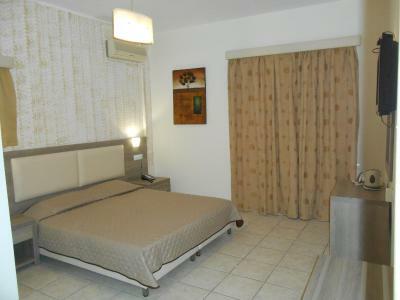 Hotel Voula is located 15 mi from Heraklion City and 12 mi from Heraklion Airport. Free public parking can be found nearby. 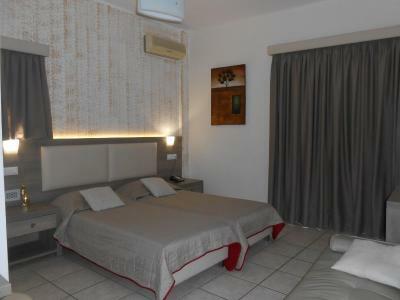 When would you like to stay at Voula Hotel & Apartments? 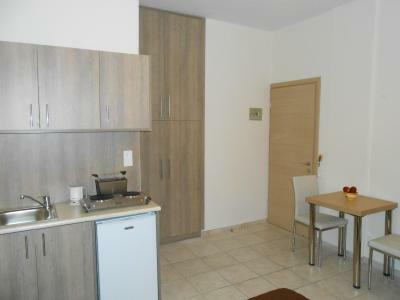 Fully furnished, air-conditioned room with refrigerator, electric kettle, TV and hairdryer. 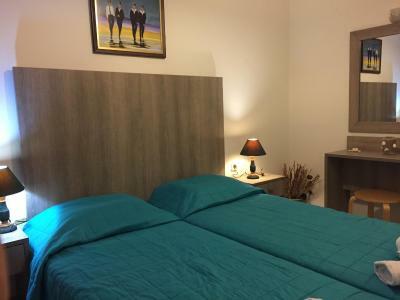 Fully furnished room, air-conditioned room with refrigerator, electric kettle, TV and hairdryer. 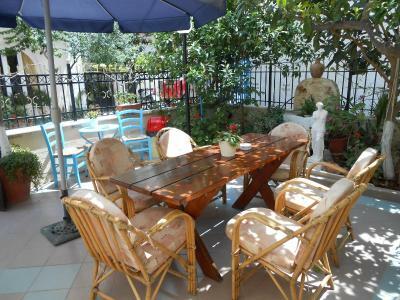 Located on the first floor, this air-conditioned apartment opens to a terrace facing the garden. 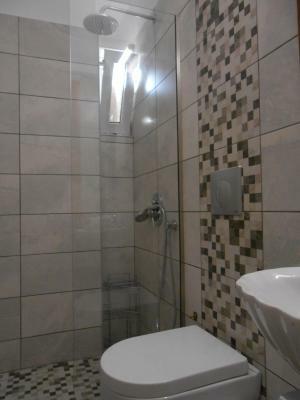 It consists of a bedroom, fully equipped kitchenette and bathroom with shower. A flat-screen TV is available. 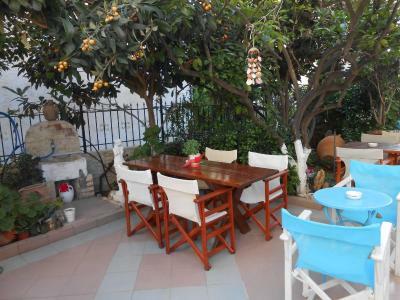 Just a few meters from the City center and the beach! 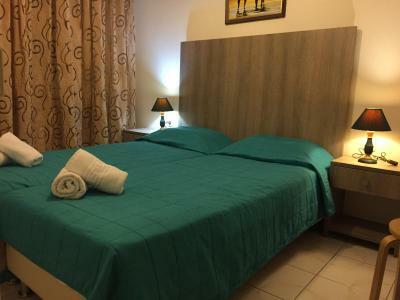 Hotel surroundings – This neighborhood is a great choice for travelers interested in nightlife, bars and restaurants – Check location Excellent location – show map Guests loved walking around the neighborhood! 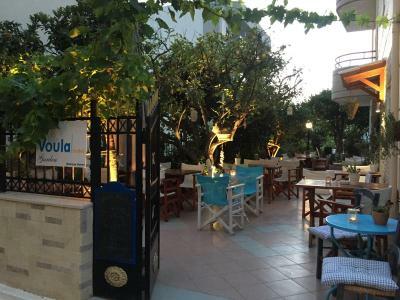 House Rules Voula Hotel & Apartments takes special requests – add in the next step! Voula Hotel &amp; Apartments accepts these cards and reserves the right to temporarily hold an amount prior to arrival. Voula Hotel & Apartments accepts these cards and reserves the right to temporarily hold an amount prior to arrival. Guests are kindly requested to inform the hotel about their estimated time of arrival. 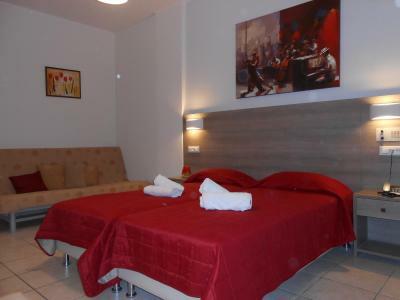 The linen is changed 3 times a week and the rooms are cleaned 5 days a week.